What is the function of Chemxin Honeycomb Ceramic ? The material of Honeycomb Ceramic : mullite, cordierite, cordierite mullite, corundum mullite, high aluminum, etc. Honeycomb ceramic has obvious advantages such as high temperature resistance, corrosion resistance, good thermal stability, high strength, large heat storage capacity and good thermal conductivity. The product specifications can fully meet the requirements of industrial furnace operation. 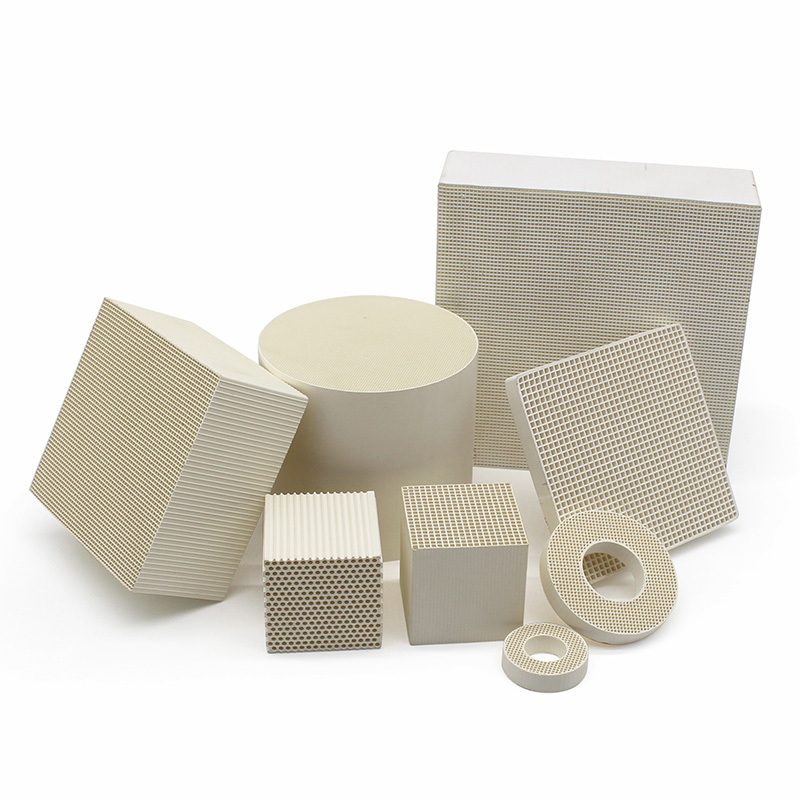 Pores type of Honeycomb ceramic : square holes, hexagonal holes, round holes, triangular holes, etc. Application of honeycomb ceramic : The principle of regenerative incineration system (RTO) is to use ceramic Honeycomb Ceramic to store the heat generated when the organic waste gas is decomposed, and to use the thermal energy stored in the ceramic Honeycomb Ceramic to decompose the untreated organic waste gas. To achieve high thermal efficiency. Home > News > What is the function of Chemxin Honeycomb Ceramic ? NEXT：Do you know the usage of different types alumina ceramic ball ?